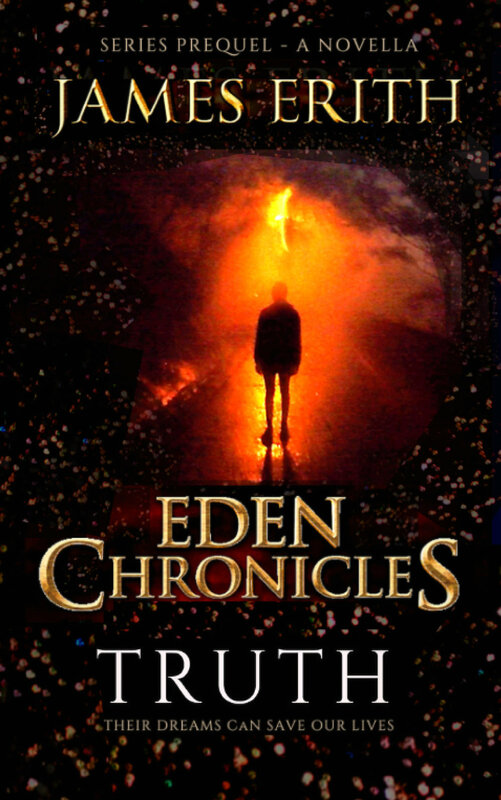 James Erith's Eden Chronicles, the bestselling young adult adventure fantasy book series for all ages. Find James’s books within the series below. Eden chronicles. books 0-5. book six is coming soon! This prequel of the Eden Chronicles series traces the strange goings-on in Yorkshire and the events that lead up to the storm and Eden Chronicles book one. TRUTH is a Novella. Our future rests with unsuspecting fourteen-year-old Archie de Lowe and his siblings, Daisy and Isabella. And it begins by withstanding the power and the fury of nature; a storm like never before. THE AUDIOBOOK IS NOW AVAILABLE ON MOST DIGITAL CHANNELS. Can Archie, Daisy and especially Isabella harness their extraordinary gifts? Will they trust in their unlikely status as the Heirs of Eden? The race is truly on as they begin their quest to find the clues to the mythical Garden of Eden. Time is running out. With the rapid spread of the Ebora virus, the Heirs of Eden must believe in themselves and their new-found abilities. To progress, the Heirs of Eden must eat the things they fear the most. As the heirs of Eden head down the corridors of the labyrinth into the dragon's lair, the terror begins. The battle to save Earth and grasp the last tablet is about to commence, but what price will the de Lowe's and their friends have to pay? Grab a copy of the first three of the EDEN CHRONICLES series in one big paperback book. Cain returns and reminds Archie of his ‘promise’ he demands a memento. A finger. But Archie remembers the eyes he swallowed in the second task and offers them in return. Cain is astonished. Has Archie just given him back the one thing he has always desired?